This series of posts on Psychology Today gives potential students a realistic overview of how to prepare for a career as an art therapist and how to decide if it is the profession for you. They discuss the practice of art therapy in two parts of the world: the US and the United Kingdom; these regions happen to be the most developed in terms of art therapy education and professional recognition.They also include information about related fields-- arts in healthcare, creative arts in counseling, play therapy, and expressive arts therapies-- to help you understand the similarities and differences between art therapy and these closely related areas. Finally, these posts attempt to put career options into perspective with regard to today's mental health and healthcare settings so that if you decide to pursue a career in art therapy, you will be as knowledgeable as possible about the job market, what to expect and what the return on your investment will be. 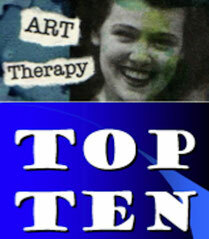 In the US, most art therapists are also licensed as professional or mental health counselors; for more information see "Art Therapy and Counseling" at http://www.psychologytoday.com/blog/the-healing-arts/201303/art-therapy-and-counseling-true-love-or-convenience. Note: A new series on art therapy as a career path is in press; look for additional links on this page in the near future. Historically, the field has promoted two roads as its primary conceptual pathways for the past forty or so years in Western culture. 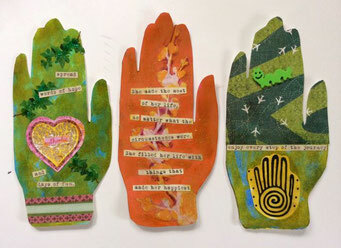 These are: 1) art as therapy; and 2) art psychotherapy. These two concepts are ubiquitous in art therapy literature and have become well-worn mantras describing the profession and guiding the way art therapists define themselves for the past 40 years in the US and despite the influence of the field of counseling. They are also referred to as “the continuum of practice” in that art therapists may use both, depending on the situation and the client. According to some, these two concepts emerged in conjunction with a long-standing debate among early leaders that not only involved scholarly discourse, but also political control of the field’s future trajectory. The Ten Coolest Art Therapy Interventions via Psychology Today. From the article..."All helping professionals know that no one intervention can be applied to all clients; they know that the best interventions are those that are tailored to clients' needs and their presenting situations. As an art therapist, I can say from experience that this challenge is the "coolest" part of my work with clients--to invent a creative strategy to promote change, insight, and well-being. A good art therapist, like a good psychologist, counselor, or family therapist, is adept at innovation and creative adaptation. A good art therapist also knows that for many clients, no technique is needed if the client is capable of creative expression without a directive or gimmick. At the end of the article, there are links to the various "interventions."